Take in the view, smell the ocean air, then don’t forget to look at your map! 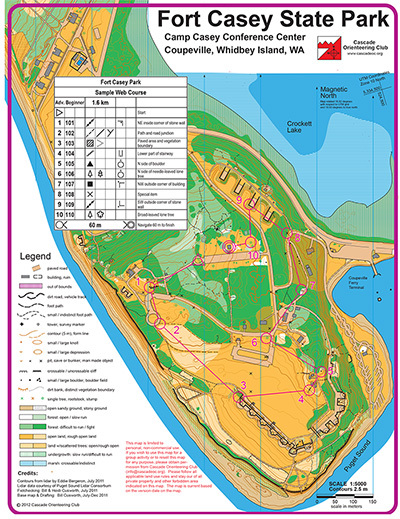 Fort Casey State Park is a unique mixture of open grass, forest, buildings, and bunkers. The open grassy areas at Fort Casey State Park provide great visibility. There is forest here, though it is thick and there are relatively few trails. 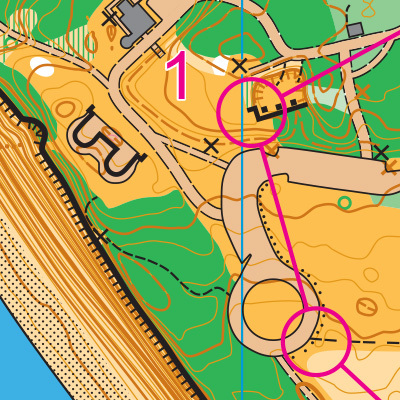 Orienteers will most likely take advantage of nearby paved paths to get around the map, while taking detours to find controls near buildings or bunkers. Fort Casey State Park is made up of one long hill, with some steep areas. However, the heart of the park is fairly flat. When you get to Coupeville, turn right on S Main St.
Main St. will turn into S Engle Rd.